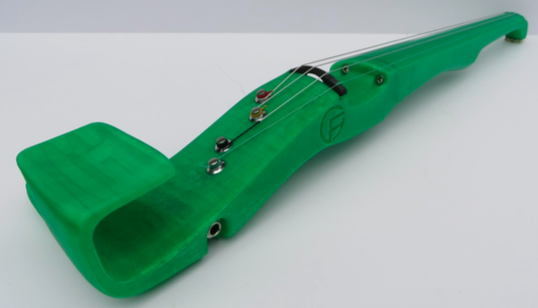 The F-F-Fiddle (pronounced eff-eff-fiddle) is a full size electric violin that can be produced using common FFF-type 3D printing equipment. The F-F-Fiddle’s design is intended to evoke (but not copy) traditional fiddles. It goes well beyond what is functionally required to create the instrument and is therefore likely protected by copyright. The CC-BY-SA license allows anyone to copy the hardware as long as they give the original creator attribution. It also requires any modifications to the F-F-Fiddle to be licensed under a similarly open license. This license is unlikely to apply to the electronic components of the F-F-Fiddle, which are standard and functional parts. The F-F-Fiddle does not use software, and therefore no license is necessary. The F-F-Fiddle’s name is fairly descriptive of the product - it is a fiddle optimized for Fused Filament Fabrication (FFF) home 3D printers. That means that it would be harder for F-F-Fiddle to protect its trademark and prevent others from using the mark to indicate the origin of any specific F-F-Fiddle. The electronic components are purely functional. The F-F-Fiddle name is mostly (although not entirely) descriptive and the logo is simply the name in a standard font. While the documentation is mostly straightforward and functional, there are some creative decisions involved in its layout. 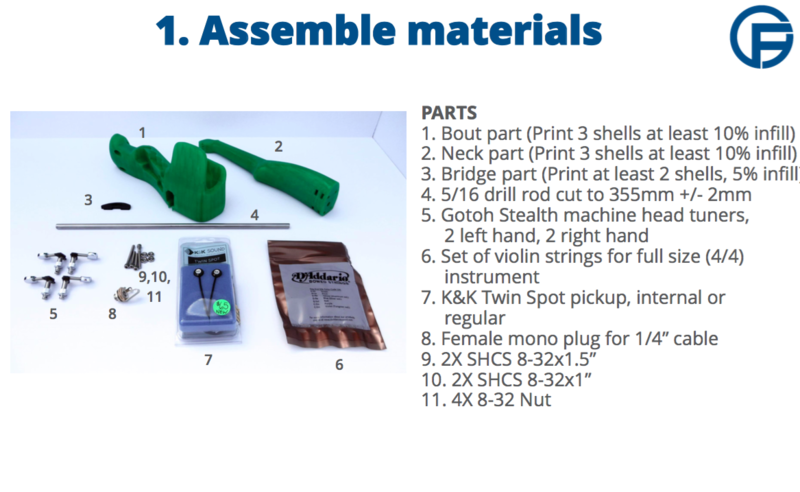 The product design itself goes beyond what is simply designed for the hardware to function, evoking other fiddle shapes.